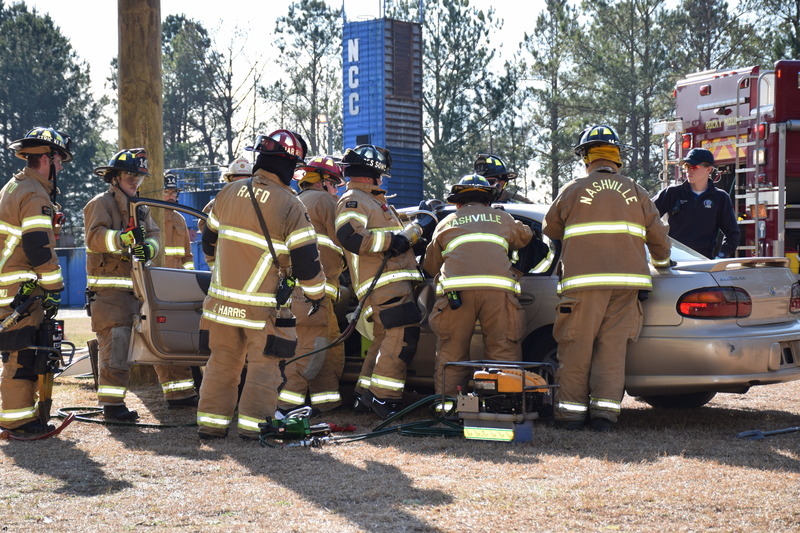 Nash Community College was host to specialized training Thursday, January 17, 2019 for area first responders. 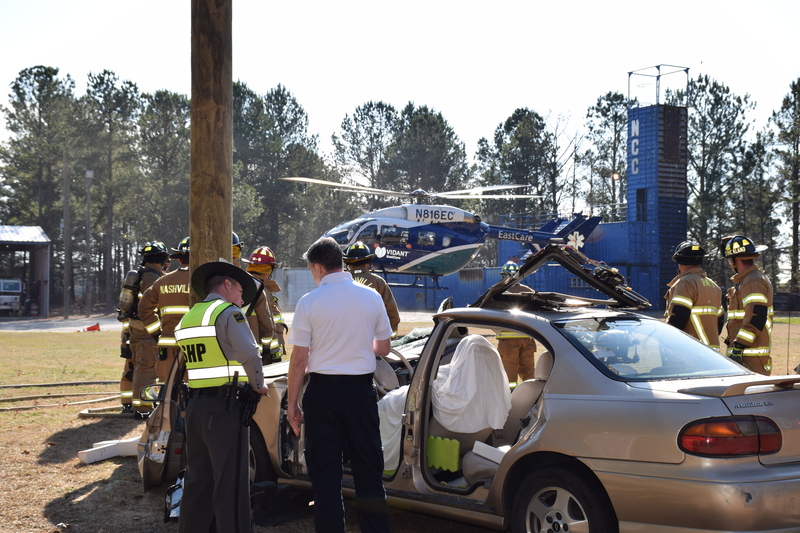 Using the NCC public safety training field to simulate a vehicle accident, members from Nash County EMS, Nash County Emergency Communications, Nashville Fire Department, Rocky Mount Fire Department, North Carolina State Highway Patrol, and Vidant EastCare gained valuable experience in all phases of an emergency call. The partnership between NCC and these agencies provides a safe hands-on environment for all participants and classroom space for pre and post drill discussion and briefing. While each agency is trained to handle emergency situations, working together is critical to ensure swift response. An area for spectators was provided by the Office of Emergency Management Services which allowed onlookers, including many Nash Community College students, to view the simulation from a safe distance. 522 N. Old Carriage Rd. Use of content from this site must include author attribution.